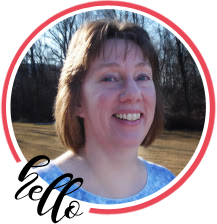 Welcome to the RRR October Blog Hop. 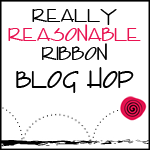 This month the Really Reasonable Ribbon Monthly Ribbon Club Assortment is a fun ‘non-traditonal’ Christmas mix. I just love all the pretty bright colors. Isn’t it fabulous??! Here is a close-up of my little bow. I made the bow on my Bow it All Tool. If you missed my first tutorial on the Bow it All, you can find it HERE. I’ll be back with another video explaining how I handle ribbon with a print on one side soon. And here is a close-up of my poinsettia. I just got this new die from Spellbinders and I love it! My headband is made with one 3/8″ ribbon and one 5/8″ ribbon width. How did I handle that? I just folded a third of the 5/8″ ribbon under and used it that way. 🙂 Your starting lineup for this would be two confetti dots ribbons on the left side and on the right side of the x you will have the azalea ribbon on the top and confetti dots on the bottom. You can find a tutorial for the basic Woven Ribbon Headband HERE. Here is a couple of sets of clippies I made. Your next stop is Heidi’s terrific Blog. Great card and I love those hair clips! Look at these projects! I love them. I cannot wait to see what the team has made. My ribbon is here….waiting….